The old Logo was so effective because of its fast and easy imitability to be redrawn. All other peace symbols: the dove and olive branch, the broken rifle or the rainbow flag are depending neither on color or/and a higher capability drawing skill that makes the imitability on an protest banner inefficient. 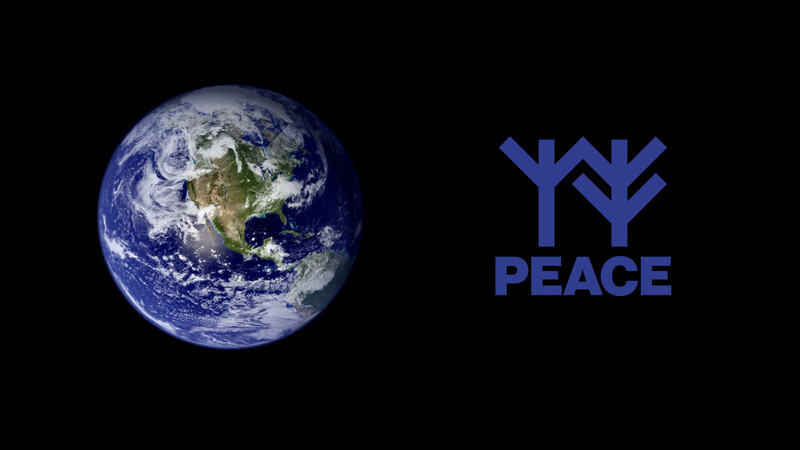 The renouncement of a special color enables the activist to remake the logo with any available resources. 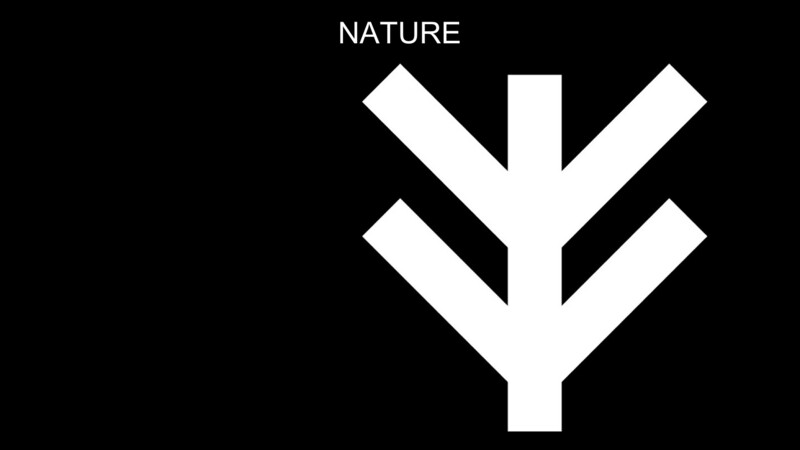 The renouncement of complex figurative forms makes it imitative and fast – in states of emergency and action the new logo needs to be drawn in seconds in order to provide even in illegal achieved action an identity. 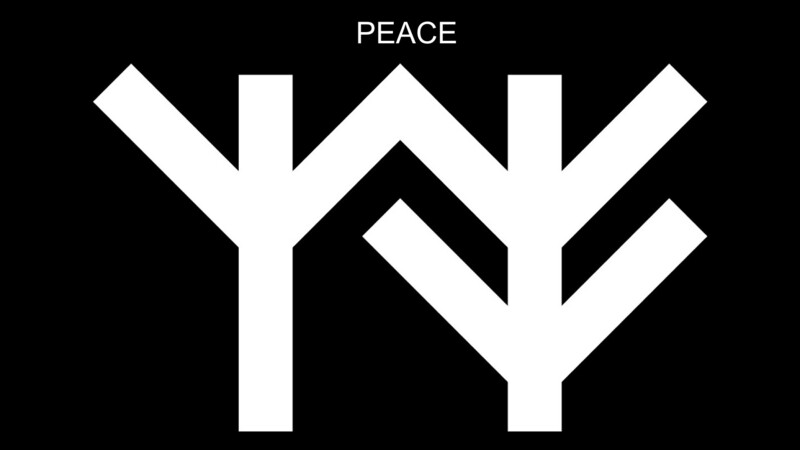 Thinking about what could express our current conception of peace I wanted to invent a symbol which includes two essential components of creating peace, humanity and nature. 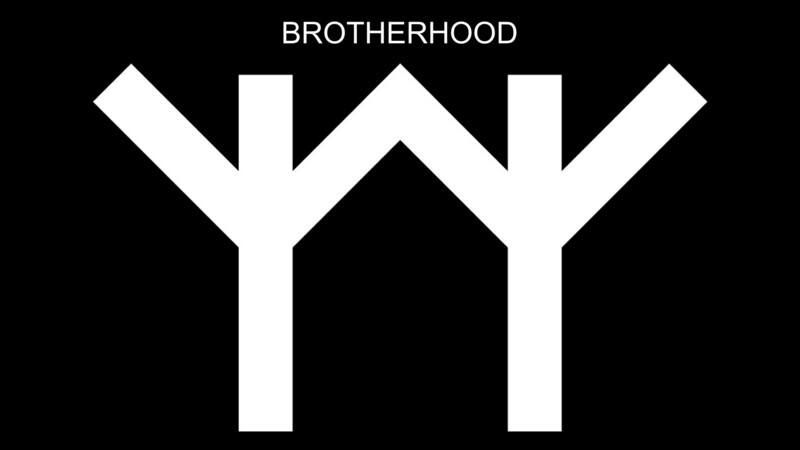 The logo is illustrating a decentralization of the human subject through depicting mankind in an equal interaction with nature building a unity which leads to brotherhood. The synergy between human and nature can be taken literally (environmentalism) or rather is focused on showing a particular attitude based on initiating a coequal togetherness with the people and elements surrounding us. Without wanting to highlight a recent cultural imagery I chose to refer to formal languages of the ancient history as the Sumerian signs and Runic writings. 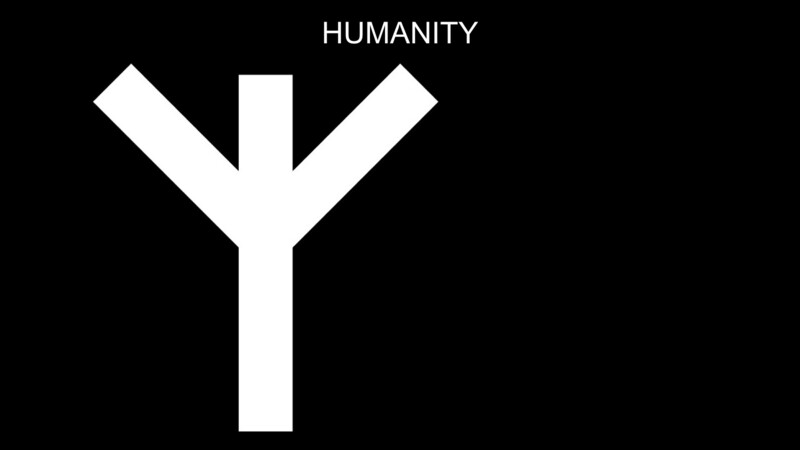 With having recourse to the ancient times I want to point to the unifying roots of human kind and also give the logo its intended simplicity.